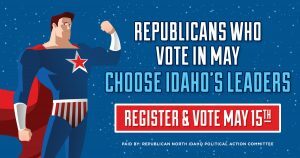 John Green isn’t quite the spitting image of Phil Hart, but the two North Idaho candidates for Idaho Legislature bear some uncomfortable, if not untenable, similarities. Hart, who has surfaced in the Silver Valley where’s he’s seeking a House seat in District 7, was under intense ethics pressure for much of his eight years as a District 3 state representative. In 2015, Hart reportedly agreed to have his Athol home auctioned off to help pay more than a half million dollars he owed in federal back taxes. Construction of that home, you might recall, included logs he stole from state school endowment land. Green, seeking the soon-to-be vacant District 2 Seat B, says the feds’ $134,000 tax lien against him dating back to his days as a Texas resident are bogus. 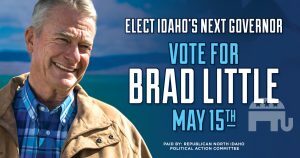 Running on a termite-infested platform that looks a lot like Hart’s, Green is a darling of the extremist faction that has taken over the Kootenai County Republican Central Committee. That’s alarming in itself. If he wishes to prove he owes nothing, Green can clear this up by getting his tax history transcript from the IRS and sharing it with The Press. What he can’t clear up is the fact that he broke the county’s building code rules over the years, which he now justifies because the county only recently adopted a building code opt-out clause. Green’s opponent in the May 15 primary, fellow Republican Doug Ocuniewicz, doesn’t have an alleged tax dodge on his hands, but he is going to have to work hard to show he’s not a puppet for the racing industry. Ocuniewicz’s livelihood is directly tied to Greyhound Park in Post Falls and perimutuel racing in general. Ocuniewicz has lobbied the legislature along those lines for years. To his credit, he’s stayed off the radar during the current campaign by horse racing interests in Idaho and ouside the state that are trying to break into the video slot machine business, which is extremely lucrative and also strictly limited to Idaho’s participating Native American tribes. Here’s one safe bet: The people will be watching.